Warm sugar water is needed this time of year to assist all eleven hives of honey bees on Beaver Island. There are three hives of honey bees at Beaver Island Apiaries near Pebble Beach Drive and East Side Drive. If you would like to see the hives please send Dyanne Tracy an email ( dtracy@beaverislandapiaires.com ) at least a week in advance to arrange a time. The bees are bringing in lots of fruit tree and wildflower pollens to feed the larvae that will soon develop into a crew of adult worker bees at the rate of 1200 new bees per day! Jeff Mostell (not sure of the spelling) is hoping that the hive of honey bees on his garden plot will be a mutual benefit to the increased pollination of his vast array of fruits and vegetables and to making some very special Beaver Island honey. Thanks to a grant from the Environmental Protection Agency , CMU-BS has six beautiful new hives sitting in a grassy field near the old Eggbert farmhouse arranged in a slow-curving arc. The hives sit perfectly perpendicular on a gently sloping field of thick native grasses. One can see their shiny new aluminum covers if flying into Welke Airport. The honey bees are working feverously to build up their numbers and stores of honey before the cold fall weather returns. Additionally, the six hives will be the training ground for 18 teachers and college professors across Michigan who will be taking a graduate-level course in July. There is one more hive on the Island, but it shall remain anonymous for now. With eleven hives of Apis mellifera on Beaver Island it could mean more fruit and nuts for animals of all sizes and number of legs. We hope you will welcome these amazing insects. 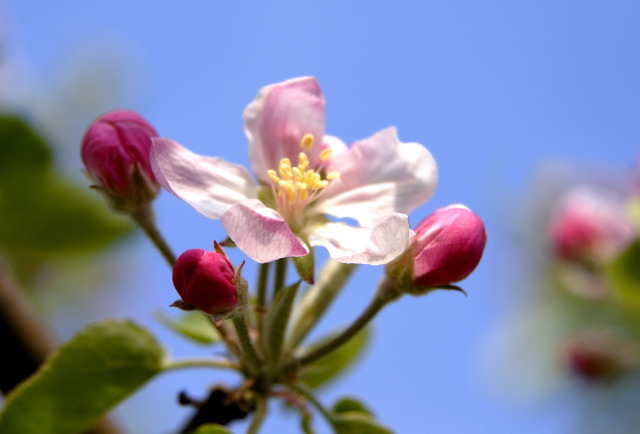 Perhaps the honey bees referred to in the above article would love to find this kind of beautiful blossom. CMU's Biological Station announced its summer Field Trips, which the Beaver Island Historical Society co-sponsors. The fee is $25.00. Those interested should sing up at the Mormon Print Shop in advance. Each trip will be limited to 28. Unless otherwise indicated, all trips will begin at 9:00 a.m. at CMU Biological Station, and will conclude at noon with a lunch in the Bio Station cafeteria. "Avian Monitoring During Migration at CMUBS" with Dr. Nancy Seefelt on Saturday, May 26, 2007. Join a pre-summer morning of bird banding. Participants will help monitor mist nets and collect valuable data on migrating songbirds that use Beaver Island as a stopover site and/or summer home. Everyone will also get a chance to test their bird identification skills. "Early Summer Flora of Beaver Island" with Dr. Ed Leuck on Thursday, June 14, 2007. 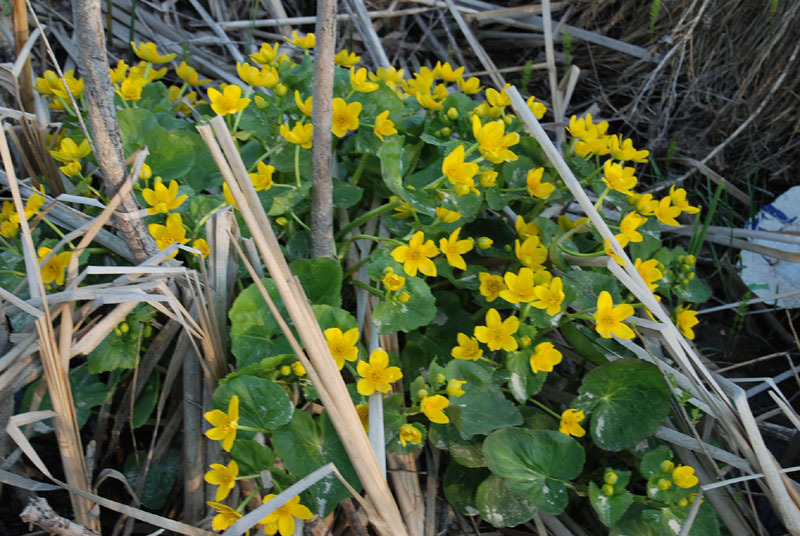 A trip to a variety of habitats to locate and identify many of Beaver Island's beautiful spring and summer wildflowers and other plant species. Dr. Leuck is extremely knowledgeable about horticulture and landscaping with plants, and is more than willing to answer your questions in this area. "The Spiders of Beaver Island" with Dr. Dave Clark on Friday, June 29, 2007. Dr. Clark will "WOW" you with a short introductory PowerPoint presentation on these fascinating creatures. You will then spend time in the field learning more about the ecology and behavior of Beaver Island's diverse spider populations. "Beaver Island Sand Dun Biology" with Dr. Beth Leuck on Friday, July 6, 2007. This trip will take participants to the West side of Beaver Island for an exploration of the extensive sand dunes located there. The origin, current status and future of the dunes will be discussed and the flora and fauna indigenous to these beautiful ecosystems will be sought after and explained in ecological terms. Some climbing of steep sandy inclines will be required. "Miller's Marsh and Double-bluff" with Dr. Gilbert Starks on Friday, July 27, 2007. 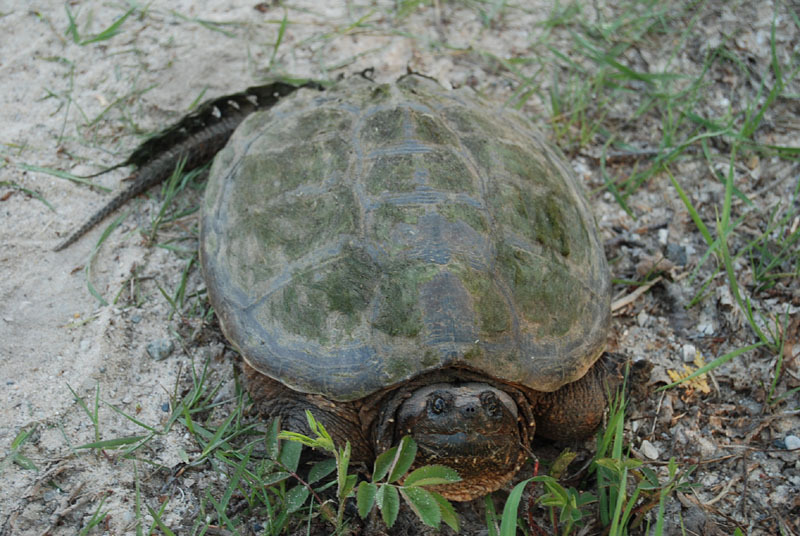 Dr. Starks will lead a delightful trip to Miller's Marsh Natural Area, and point out the details of the marsh's natural history and diversity. Time permitting, the trip will head south to a unique geological formation know as double bluff. Dr. Starks will discuss Beaver Island's geological history at that site. "Beaver Island's Inland Lakes" with Mr. Dan Benjamin on Saturday, August 4, 2007. A popular favorite! A trip to most of Beaver Island's inland lakes, with information about their formation, current status, water chemistry, and natural history. Aerial and ground surveys have found increased infestations of the invasive weed, phragmites australis, on both the state and private Lake Michigan shoreline. There are also significant patches on Font Lake and Lake Genesereth. Mature stands are 8 to 10 feet high and extremely dense. In response to this threat, the Beaver Island Property Owner's Association is helping coordinate an initial program in cooperation with the Michigan Department of Natural Resources and the townships. Brian Matenbrook of the Gaylord MDNR office is applying for a permit for chemical treatment and state funding of application on state land by contracting with an experienced, insured, and licensed operator. The permit will include private land and offer shoreline landowners an opportunity to participate in a comprehensive program. However, NO PROPERTY CAN BE CHEMICALLY TREATED WITHOUT WRITTEN PERMISSION FROM THE OWNER. This is expected to be a multi-year program in which the DNR will concentrate first on the Beaver Island shoreline and then move to the outlying islands where phragmites are also spreading, primarily by wave action. The townships have budgeted initial amounts to participate in an inclusive program. Peaine Township has used a portion of its allocation to produce an informational DVD that will soon be available free in the library and the township office. BIPOA recommends that all who have property on any shoreline borrow and view this excellent source of information about identification and treatment. Treatment with a commercial-grade herbicide is done either with ground spraying or individually wiping stalks. A 20 by 20 foot patch will cost at least $100. Burning or cutting stalks without removing the runners will not kill the plants. The runners, up to 20 feet long and often 6 inches under the surface, can be pulled only early in their growth and with great effort. Retail-grade herbicide is not approved for application and unlikely to be effective on mature plants. In short, control is going to require a concerted program over a period of years. The alternative is to lose significant section of beach with consequent loss of natural beauty, recreational use, and property values. When the permitting process is completed, BIPOA is expecting to coordinate a joint effort with MDNR, the CMU Biological Station, and the townships to contact all shoreline owners by mail and give them an opportunity to participate or reject treatment in this program. In the meantime, early onset of the week can be dealt with by pulling stalks and runners and burning or bagging smaller plants. Phragmites is most often found in wet areas of plant growth, not on dunes or plant-free sand-and-rock beaches. The Beaver Island Community School 's School Building Needs Committee will be meeting in the school's science lab at 7 p.m. on Monday, May 21, 2007. The meeting will be hosted by architect Bret Kronlein of BETA Design Group from Grand Rapids .  thinks there is a need for major building improvements.  has hired BETA Design of Grand Rapids to come up with building ideas.  is planning to ask voters to approve a Bond Proposal in August 2007 which would replace the two that were paid last year.  call for modern classroom spaces.  call for an art and music room and single main entrance to the school.  call for a safer playground area and safer student drop-off and parking. Your ideas are welcome---come let us know what you think! What in the world is intercession week? "It looks like another week that kids get out of learning," some may say. This past intercession week was packed full of all kinds of different learning opportunities for the school children on Beaver Island at the community school. First and foremost was a scheduled Island cleanup that didn't take place due to the rainy weather on Monday, May 14, 2007. The students were not very happy about having to go to regular classes on this day, but the rainy morning with thunderstorms was the reason for not doing the Island cleanup on this day. Island Cleanup is a traditional BICS activity in the spring to walk along the roadways and pick up the junk that may have accidentally blown off the back of a truck or been purposely thrown into a ditch. Our students pick up broken realty signs, pop and beer cans, and lots of other garbage to make this Island cleaner and more appealing to our summer visitors and our residents alike. "I can't remember a single Island Cleanup that was canceled in the past thirty years," Joe Moore said. "We have postponed the cleanup until the rain stopped, but I can't remember it being completely canceled." Island Cleanup will take place on Monday, May 21, 2007, which was the rain day that was scheduled for this activity. Beginning Tuesday morning, the student of BICS were going to have a completely different week of learning opportunities. The fifth through seventh grade students were off to Camp Hayowenta for the rest of the week. The elementary had their own schedule for grades kindergarten through fourth grade including a trip to Charlevoix for swimming in the Charlevoix Pool. The eighth through twelveth grades had many different activities going on as well. See the later pages of News on the 'Net for coverage of most of these activities. If you were a hunter and wanted a good place to see some deer, you needn't go very far from my breakfast table. 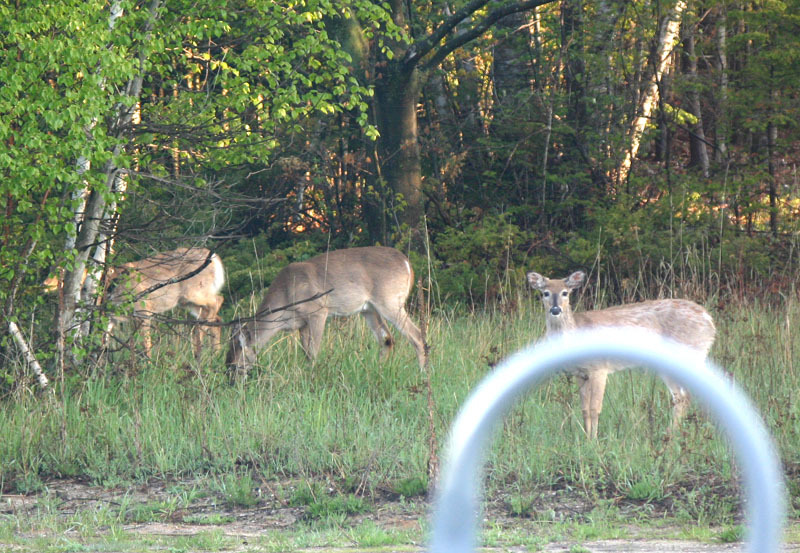 While editing photos on the laptop, these deer walked between my house and the rural health center parking lot on their way to Jim Wojan's yard. The deer seem to use this pathway a great deal even though the traffic gets quite heavy with the cars going down the road to Stoney Acre Grill. 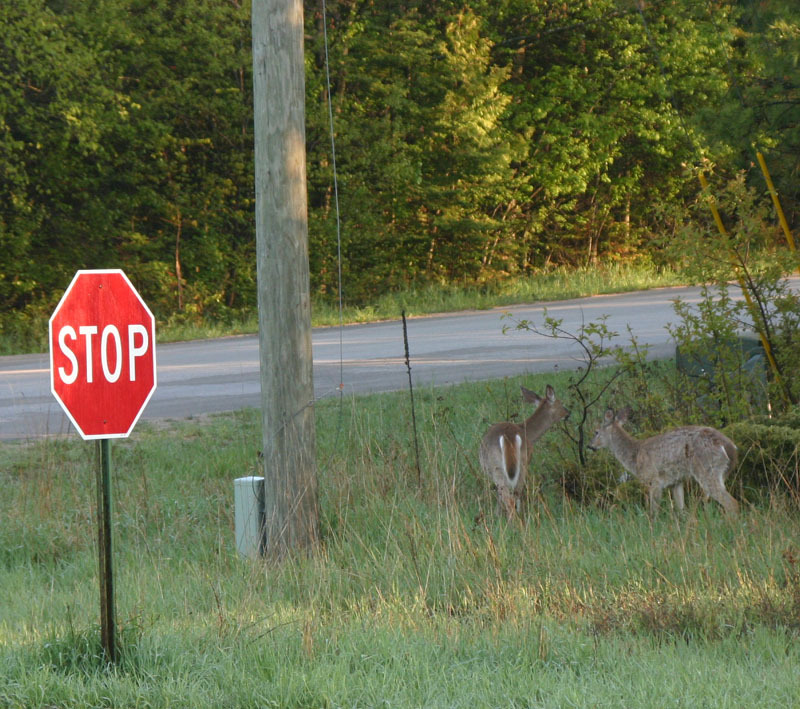 It was quite interesting to watch these deer as they appeared to follow the directions on the STOP sign on the corner before moving across the Kings Highway. Stop, look, and listen before crossing the road. These photos were emailed to me by Nancy Peterson, and they help me remember why I moved here. Hope you like them, too.